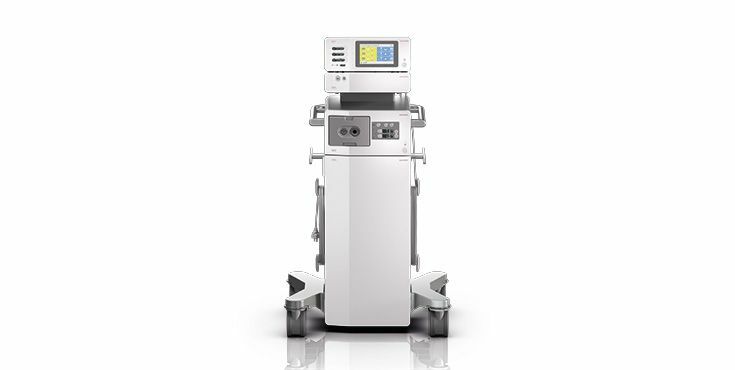 We offer you a comprehensive range of instruments for both the monopolar as well as bipolar application technology. 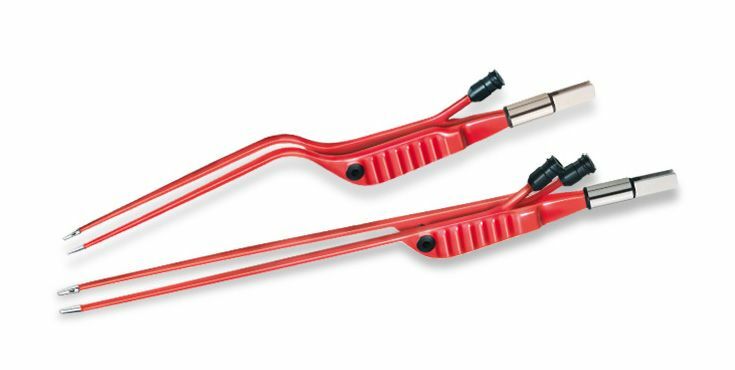 This includes numerous innovative instruments, such as the bipolar marCut® scissors, the bipolar marClamp® clamps our our non-stick-red-forceps. 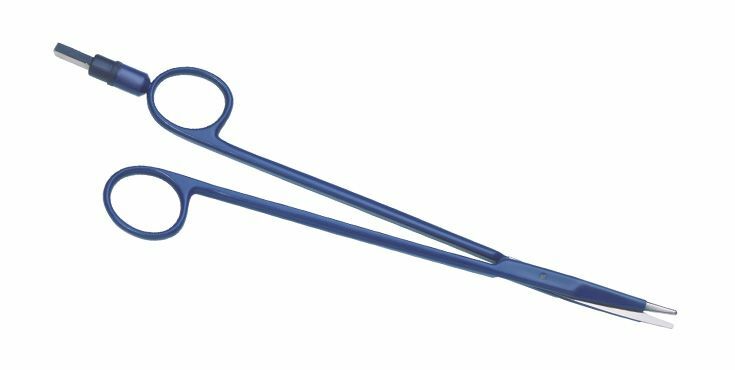 Our bipolar forceps with non-stick effect and a revolutionary ergonomic design. 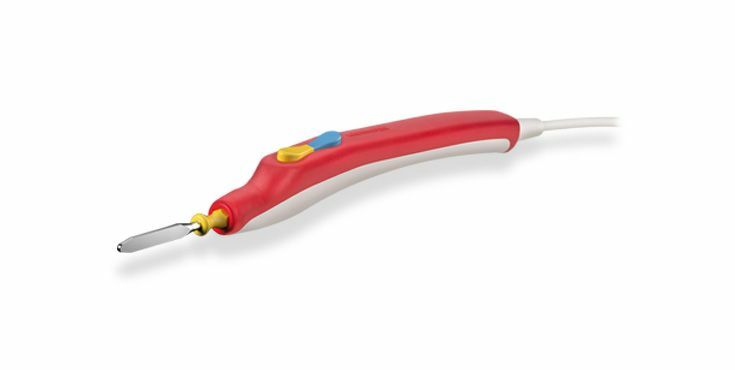 The latest generation of forceps allows for the precise coagulation of vessels - accurately to the point. 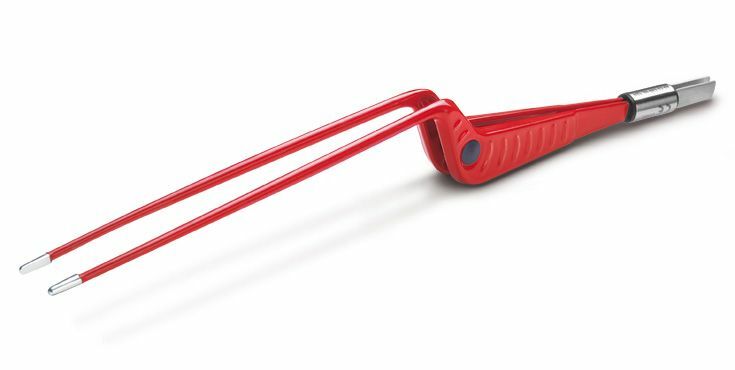 The large choice of models, the universal connection as well as the ergonomic handle, make the nonStick-red forceps indispensable aids in the daily OR environment. Our bipolar forceps with integrated irrigation – for the toughest requirements. The coagulation site is irrigated via the irrigation channel integrated into the forceps handle and to which one or two Luer Lock tubes can be connected. A continuous supply of irrigation fluid helps to greatly reduce the tissues adhesion. 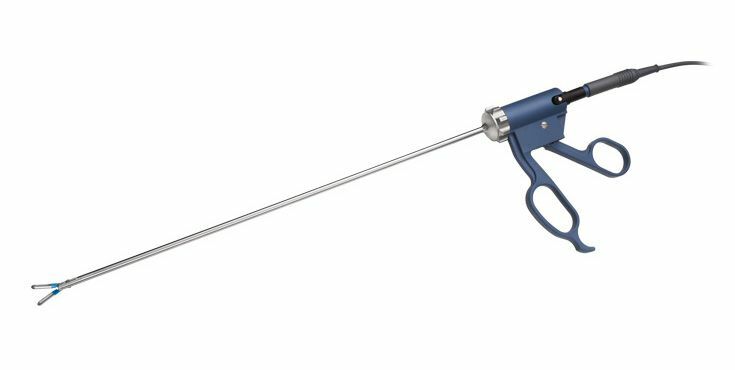 The ”Neptun“ current type of the maXium® HF generator was developed specifically for fluid-assisted HF coagulation (EHT = electrohydrothermosation) of the nonStick flush bipolar irrigation forceps. Our bipolar scissors for open surgery. An essential benefit of marCut® scissors is provided by their special design: The two scissor blades are electrically insulated from each other by a ceramic element. The special hardened surface of the scissor blade provides for a consistently sharp cutting edge, which can be re-sharpened several times. For reliable holding and separation of tissue - always with a view of the entire operating field. 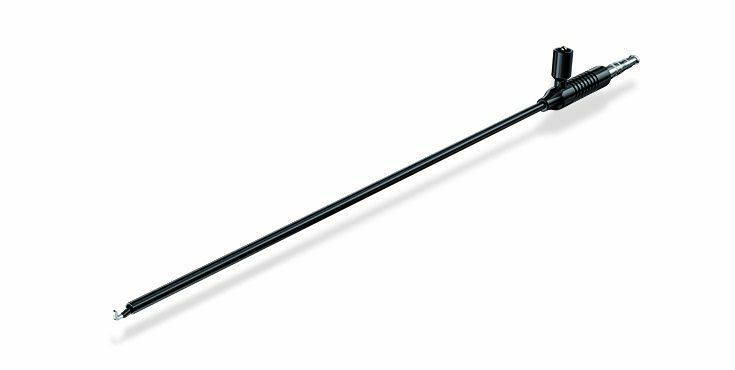 The field of laparoscopy requires a multitude of special bipolar instruments for minimally invasive applications. Fast and reliable hemostasis is of great significance. With the marLap system, we provide a brilliant answer to this. Clear view and maximum safety in the sterile field – smoke has become a thing of the past! The novel premium quality high-performance smartLap electrodes by KLS Martin for laparoscopy provide an efficient solution for effective evacuation of the smoke right where it originates. We have a comprehensive range of monopolar electrodes. This includes electrodes with Ø 1.6mm, Ø 2.4mm and Ø 4mm in a variety of shapes and geometries. 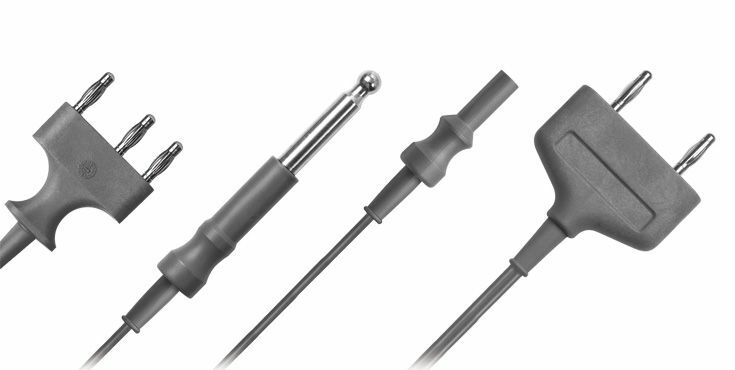 Monopolar electrode handpieces are indispensable in electrosurgery. Combined with an active electrode they are used to cut, dissect, and coagulate. 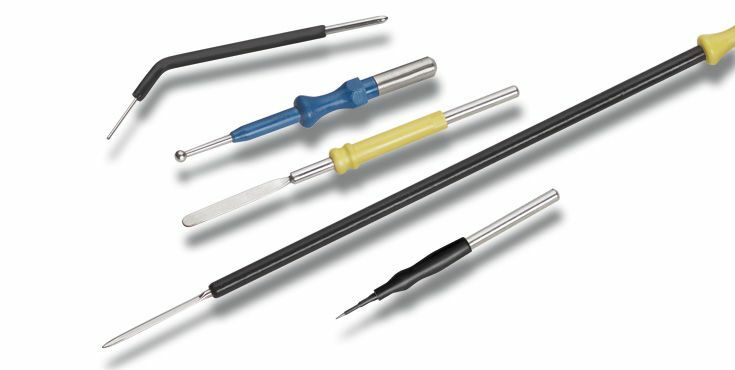 With the electrode handpieces we offer you a device designed to fulfill today's ergonomic demands. To provide you with the right return electrode for every application in the monopolar field, we offer you a variety of different return electrodes. 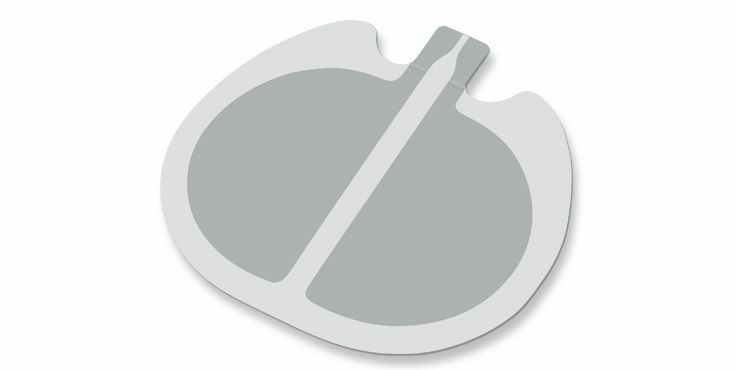 From the split single return electrode to special return electrodes for newborns and infants. KLS Martin –your competent partner in modern argon-supported surgery. 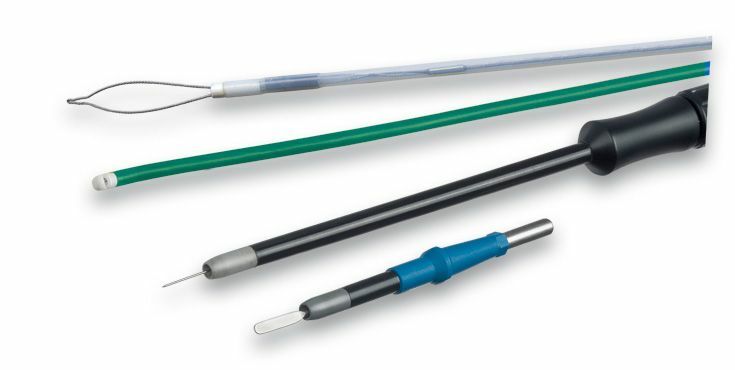 We offer a large selection of rigid and flexible probes for open and endoscopic argon surgery. The maXium® smart Cart exhibits a compact and ergonomic design to securely accommodate the entire equipment. The maxium® smart Cart not only offers room for an electrosurgery device, but also for an argon beamer as well as a smoke evacuation unit. We have a comprehensive range of footswitches. Our product portfolio includes single pedal and dual pedal footswitches. 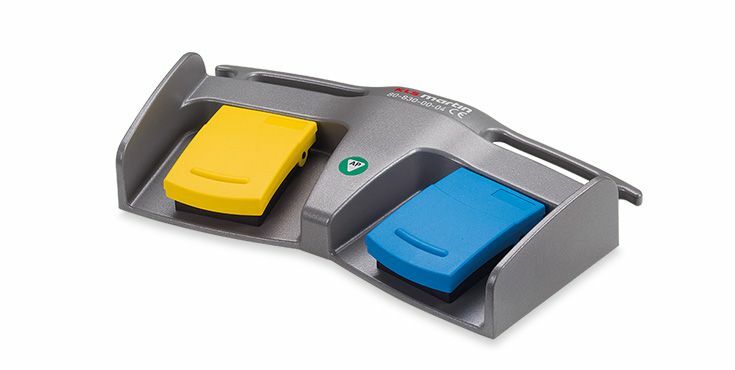 A special highlight is our cordless double pedal footswitch. We offer a large number of connecting cables for all common generators and instruments.